If you are like me, you have a few email accounts doing very specific things. One account is most likely for work, another for personal, and then there is the illustrious spam account. This account is like a neglected shelf in the refrigerator. Stuff comes in, sits a while, piles up, and before you know it, you are spending an entire afternoon trashing the junk and filtering the items that have accumulated. 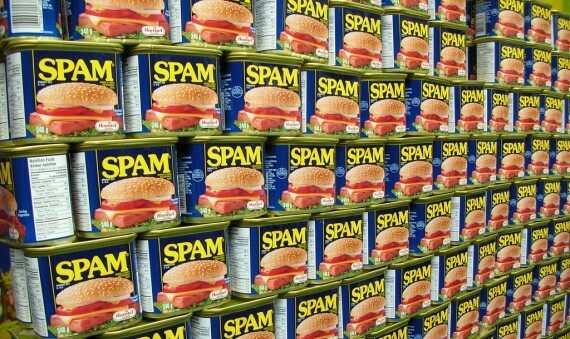 Although I cannot help you stop the current influx of internet spam that enters that rotten, overflowing email account (or can I? ), I can show you how to get important information immediately from sites that spam you and have them never bother you again. How is this done? By giving those pesky sites a temporary email account that expires. That is exactly what 10 Minute Mail does for you. When you go to 10 Minute Mail’s website, it looks like this. 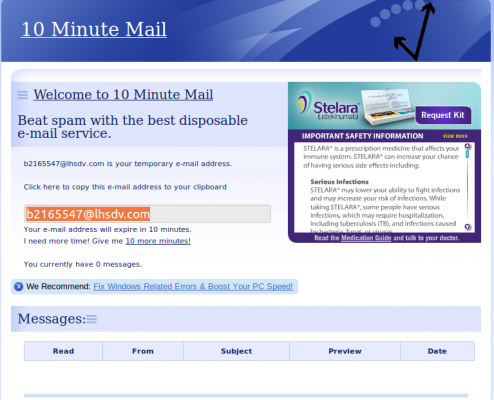 At the center of the page, a temporary email address is given to you and below that 10 minutes of time to use it. Just copy and paste the email address into whatever site you wish and watch the spammers go to town. Man, this sender is ESPECIALLY annoying. As long as you keep 10 Minute Mail open in your browser, you can view and read any mail that comes in on that temporary email address. The site works exactly like a normal email account. Read, reply, forward, 10 Minute Mail does it all. But remember the catch: once 10 minutes are gone, so is your address and your accumulated mail. Just like that. …Okay, that is partially true. 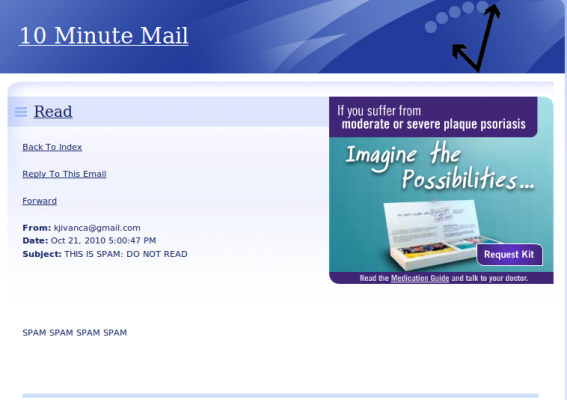 There is a button on the page to ask for another 10 minutes with that email address. But just remember, the longer you have the address, the longer you are letting them win. Side Note: If spam filtering seems right up your alley, but you are looking for different method to get rid of email junk, try TrashMail instead (we’ve got a great article about TrashMail here). Which ever way you choose, the results will speak for themselves.